Great and hassle free tour. We had a hard time to figure out the unlimited bus between these places and Nagoya so we opted for this tour and it was definitely worth it. Begin your winter adventure in Nagoya where, after redeeming your printed voucher for a bus pass, you'll depart from Meitetsu Bus Center for the scenic two hour journey to Takayama. 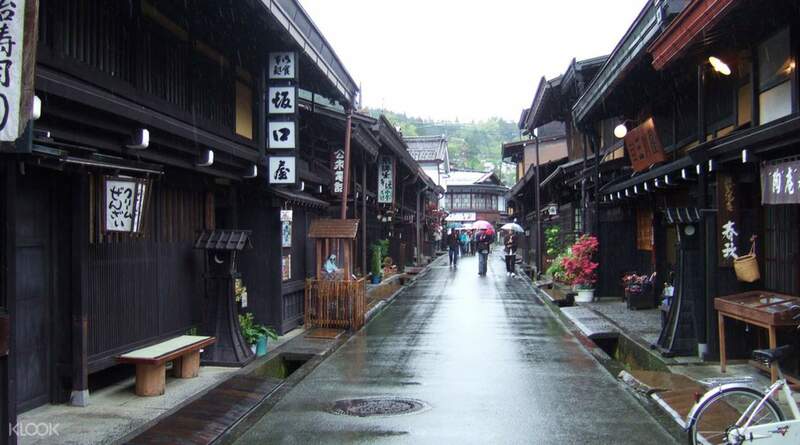 Explore the old towns and rural elements of this historic district by yourselves before rejoining the group for a lunch buffet featuring over 40 different dishes in downtown Takayama. 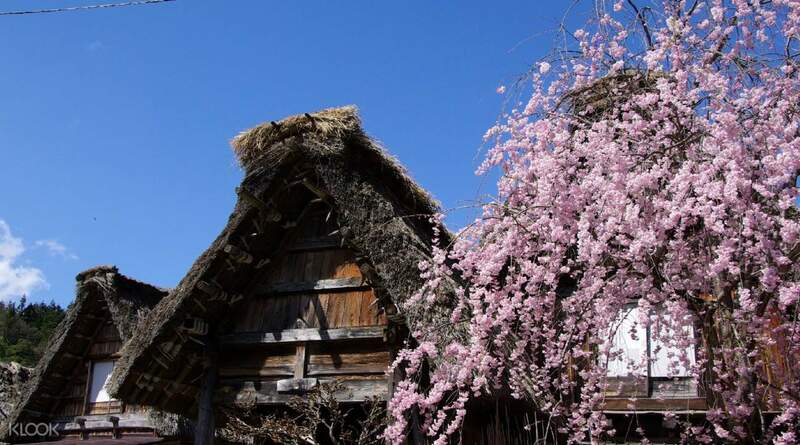 After lunch, you will depart for Shirakawa Village, a quaint Japanese village with traditional houses still standing to this day. You will spend 80 minutes touring around this beautiful site before leaving for Nagoya Station where you will be dropped off. Guide services are only provided in Japanese whilst English speakers will receive information booklets in English. This tour is best recommended for the easy and convenient transport, delicious buffet lunch and outstanding destinations that speak for themselves. Bus arrived on time (Bus 2 on April 3). We had two guides, and they were both very nice and accomodating. Our English guide was extremely funny too! It made the trip really memorable not just bcoz of the awesome places but also because of the group we were travelling with. No one was late and we all had a smooth ride all the way. Bus arrived on time (Bus 2 on April 3). We had two guides, and they were both very nice and accomodating. Our English guide was extremely funny too! It made the trip really memorable not just bcoz of the awesome places but also because of the group we were travelling with. No one was late and we all had a smooth ride all the way. we really enjoyed the scenic routes (with many tunnels) of the trip ,especially Shirakawa Village, which was beautifully covered in Snow. The tour guide is patience and explained the tour in good English. The lunch was delicious and the hida beef is so Oishii ! we really enjoyed the scenic routes (with many tunnels) of the trip ,especially Shirakawa Village, which was beautifully covered in Snow. The tour guide is patience and explained the tour in good English. The lunch was delicious and the hida beef is so Oishii ! A great experience to go Shirakawago & Takayama at the same time. The bus came on time. The journey was great, a lot of nice views with snow. One thing needs to be improve, the time in Shirakawago is too short compared to the time in Takayama. If it can be longer, it will be nicer. A great experience to go Shirakawago & Takayama at the same time. The bus came on time. The journey was great, a lot of nice views with snow. 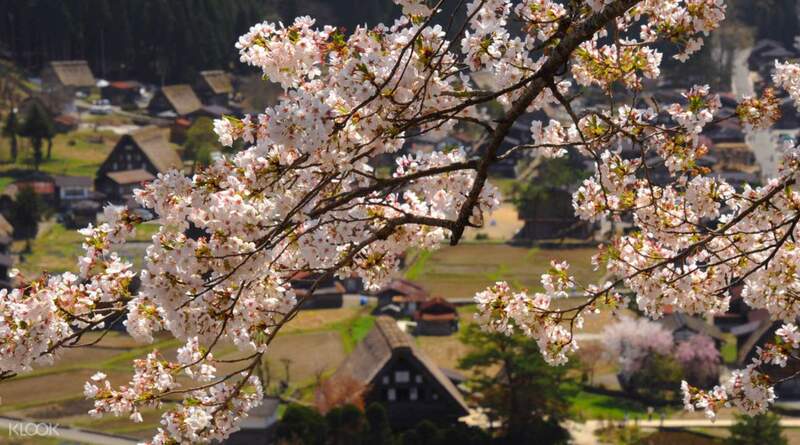 One thing needs to be improve, the time in Shirakawago is too short compared to the time in Takayama. If it can be longer, it will be nicer. Maps are given by the tour guide and they gave us explainations along the way to Takayama and Shirakawa-go. Although it is rain, the trip was fun and excellent. *Should have spare umbrella for the passengers during rainy day. We doesn’t have any umbrella and we were wet ran inside the rain. Postcard as a souvenir is a good idea, memorable! English translater was good in English and the tour guide were friendly. Maps are given by the tour guide and they gave us explainations along the way to Takayama and Shirakawa-go. Although it is rain, the trip was fun and excellent. *Should have spare umbrella for the passengers during rainy day. We doesn’t have any umbrella and we were wet ran inside the rain. Postcard as a souvenir is a good idea, memorable! English translater was good in English and the tour guide were friendly. The trip was a really good one. Our English speaking tour guide Mariko-san and Niponggo speaking tour guide were very friendly, courteous and polite. Time for roaming around Takayama was a bit short though. maybe an extra 30min would be great. We arrived Takayama at around 11:30am. It would be great if the tour started 30min earlier so tourists could catch the Miyagama Morning Market which ends at 12:00. Buffet lunch at the Green Hotel was good. One thing though, there was only 1 rest room available and the queue was long. The bus had wifi and electrical outlets per seat. Shirakawa is like being transported back in time. Awesome village. Definitely one of the highlights of our trip to Japan. The trip was a really good one. Our English speaking tour guide Mariko-san and Niponggo speaking tour guide were very friendly, courteous and polite. Time for roaming around Takayama was a bit short though. maybe an extra 30min would be great. We arrived Takayama at around 11:30am. It would be great if the tour started 30min earlier so tourists could catch the Miyagama Morning Market which ends at 12:00. Buffet lunch at the Green Hotel was good. One thing though, there was only 1 rest room available and the queue was long. The bus had wifi and electrical outlets per seat. 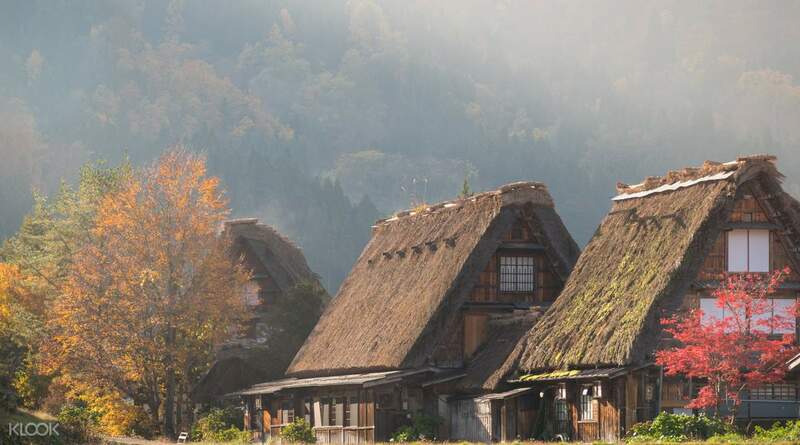 Shirakawa is like being transported back in time. Awesome village. Definitely one of the highlights of our trip to Japan. This is the highlight of my trip. I was late (got lost) for the meeting time but they waited for me and were even welcoming. The guide spoke in Japanese but there was an English translator who didn't miss explaining everything to us. There were sights along the way like the twin arch and the budhha so the bus ride is not really boring. They also show informative videos in the bus about Takayama and Shirakawa. The buffet lunch was so worth the price. There were many choices ranging from Chinese, Japanese, and Western. There's even soft serve ice cream! Shirakawa was wonderful. It is a must visit when you are in Japan. I would book this activity again. This is the highlight of my trip. I was late (got lost) for the meeting time but they waited for me and were even welcoming. The guide spoke in Japanese but there was an English translator who didn't miss explaining everything to us. There were sights along the way like the twin arch and the budhha so the bus ride is not really boring. They also show informative videos in the bus about Takayama and Shirakawa. The buffet lunch was so worth the price. There were many choices ranging from Chinese, Japanese, and Western. There's even soft serve ice cream! Shirakawa was wonderful. It is a must visit when you are in Japan. I would book this activity again. The tour guide and translator was very kind and accomodating. The ice cream at the rest stop and the hida beef in Takayama is very delicious. The view in Shirakawa Go is very beautiful. There was also a coupon given at the end of the tour for don quijote. The tour guide and translator was very kind and accomodating. The ice cream at the rest stop and the hida beef in Takayama is very delicious. The view in Shirakawa Go is very beautiful. There was also a coupon given at the end of the tour for don quijote. It was a very worth it experience. As I am looking forward to travel Shirakawa-go Villages from Nagoya, I’ve checked the bus fare back and forth and compared to the Takayama and Shirakawa-go day tour here in Klook, it was more cheaper and you can visit two places. Plus it has a buffet lunch and the food were so good. The tour guides were very enthusiastic and they know how to speak English, Chinese and Japanese. It was a very worth it experience. As I am looking forward to travel Shirakawa-go Villages from Nagoya, I’ve checked the bus fare back and forth and compared to the Takayama and Shirakawa-go day tour here in Klook, it was more cheaper and you can visit two places. Plus it has a buffet lunch and the food were so good. The tour guides were very enthusiastic and they know how to speak English, Chinese and Japanese.